Sarah Alexander typically works with business owners and senior directors who are weighed down with a nightmarish workload, to keep them focused on the ultimate growth and direction of their business. She ensures they have the right attitude, behaviours and techniques that align with successful leadership. The lynchpin of her coaching are the principles set out in her book Spiritual Intelligence in Leadership: From Manager to Leader in Your Own Life. Sarah acts as an impartial sounding board for any issues that arise, guiding people to operate practically and strategically in tandem with their own wisdom and sense of purpose. 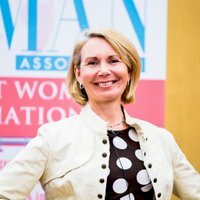 Her approach draws also on the latest scientific research and the best leadership tools and techniques. This one-to-one coaching for business owners and senior directors lasts a minimum of six months to ensure sustained progress and lasting behavioural change. As a coach who has tried out so many other different coaching relationships which hadn’t worked out for me, I was looking for something different and that is what drew me to Sarah. I wasn’t disappointed. This is coaching of a very different kind and the work that we have done together has enabled me to operate from a more intuitive realm and develop a stronger connection with friends, relatives and clients. I also now have total confidence and conviction in the decisions that I make both for me personally and for my business, and am looking forward to a more fulfilling and brighter future. Through a programme of coaching with Sarah, I am now in much closer touch with my creativity and intuition, which has produced real breakthroughs for me in my position and has now facilitated a fundamental career change for me. Sarah grasped my business challenges quickly and easily. Her advice and guidance was spot on – sometimes you know what needs to be done but it can be incredibly useful to talk it through with someone who gets, and adds, to your thinking. I would strongly recommend her services.